Nodding Yucca or Yucca cernua: I bought many lovely plants at the Wildflower Center sale on Friday, among them, a Nodding Yucca or Yucca cernua. 24 of the 25 plants I bought are already in the ground except for this poor little yucca. I cannot find it in the wildflower database or anywhere else so I do not know where to plant it. Help! I do not want it to join the tragic fate of many other plants I bought in the past that sat in my driveway thirsty and sad for months (and I am ashamed to say it: for years!). Thank you. You didn't find it in the databases as it is a brand new species - Quite rare. Isn't that a great find! They put it right next to the Mr Smarty Plants table and I was VERY tempted. 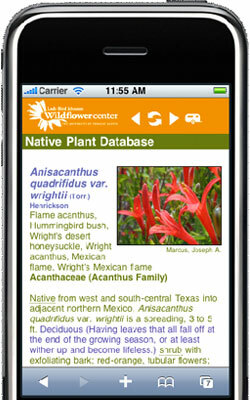 New to Science reports that Yucca cernua was discovered by Eric Keith in East Texas in 2003. Their record says that it apparently is restricted to brownish, acidic clayey soils of the Redco Soil Series in Jasper and Newton counties. However in Daves Garden, Eric Keith (coincidence?) reports that "In its natural habitat, the plants grow in an unusual acidic clay in the Redco Soil Series. However, I have grown several plants from seed and they seem to thrive in low pH sand and high pH black clay. They do well in disturbed areas such as roadside and other ROW in the wild as well." Hope this helps! As a parting comment - I hope you put your name/email on the list of people that purchased the plant. I believe the Wildflower Center wants to track how well they do as people try to grow them; that will provide information to the next generation of Yucca cernua owners. May 14, 2011 - I have 2 acres of good soil that does not have any trees. I would love to give life to native Texas endangered trees but I can not purchase them anywhere. Do you have any suggestions? April 28, 2010 - What's the best time to transplant white trillium on my property on the shore of Lake Michigan?